What is there left to say? 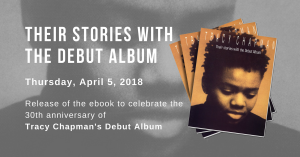 Giving a political voice to late Eighties song-writing, Tracy Chapman’s distinctive contralto and smooth protest songs were warmly embraced by a liberal collegiate. In the intervening years her politics have become more muted, a personal and spiritual tenor dominating her perfectly-pitched coffee- house folk. One day into the second Gulf War of her career, though, the usually taciturn performer was not content to stay quiet. A new bumper sticker has been seen in the States, she tells us: Support the troops – Send them home. Instantly a voice calls back: “They can go through Shannon!” The cynicism is as acrid as burning oil, but the laughter cathartic. If morale needs boosting, Chapman and her superb band (including Eels drummer Butch) play with a sense of purpose, fluency and, most admirably, fun. Her set reconciles the soaring successes of her debut with Let It Rain’s recent return to form. In the Dark offers a smouldering beginning, Chapman retreating into silhouette as Joe Gore’s whale-song steel guitar adds sensuous elaborations to her groaning vocals. With deliberately vague lyrics, Say Hallelujah and the oleaginous groove of Another Sun convey optimism through music. Not that her older material isn’t blisteringly relevant. “Why are the missiles called peacekeepers when they’re aimed to kill?” challenges Why? while frequent reggaes combine a politicised form and content. It’s touching to see how touched Chapman is by her rapturous reception. But if the impact of Fast Car and Talkin’ About a Revolution (which has truly come full circle) threatens to shrink into mutual appreciation, Get Up Stand Up is a surgical strike of motivational dissidence. Finally, Chapman’s sensitivity even leaves Knocking on Heaven’s Door inspiringly fresh.